21 February 1462, Royal Alcázar of Madrid, Madrid, Spain. Joanna la Beltraneja (21 February 1462 – 12 April 1530) was a claimant to the throne of Castile, and Queen of Portugal as the wife of King Afonso V, her uncle. King Henry IV of Castile married Joan of Portugal, the daughter of King Duarte of Portugal and the youngest sister of King Afonso V of Portugal, on May 21, 1455. Seven years later, Joanna la Beltraneja was born at the Royal Alcazar of Madrid. Joanna's father, King Henry IV, had previously been married to Blanche of Navarre. After thirteen years, that marriage was annulled on the grounds that it had never been consummated. This was attributed to a curse, which only affected her father's relationship with his wife; a number of prostitutes from Segovia testified that they had noticed no impairment. Joanna's father had no other children and was rumoured to be impotent. 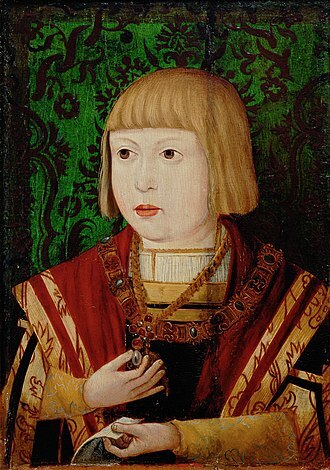 Whether true or not, it was widely circulated by King Henry's opponents that the little infanta (Joanna) was the child of Beltrán de la Cueva, a royal favourite at court who was created The 1st Duke of Alburquerque in 1464. 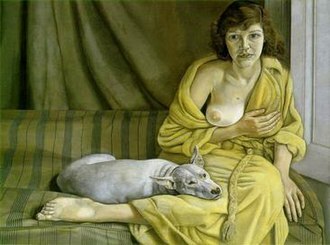 They called Joanna "la Beltraneja", a mocking reference to her supposed illegitimacy. Joanna's mother, Joan of Portugal, was eventually banished to Bishop Fonseca's castle where she fell in love with Fonseca's nephew and became pregnant. 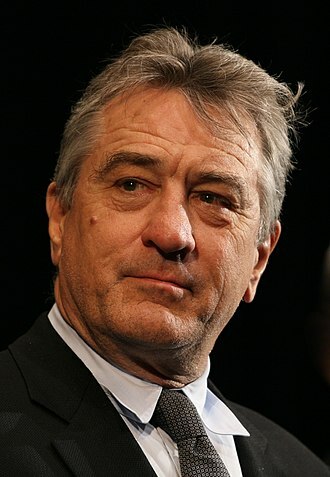 Her father Henry divorced her mother in 1468. On 9 May 1462, Joanna was officially proclaimed heir to the throne of Castile and created Princess of Asturias. Henry had the nobles of Castile swear allegiance to her and promise that they would support her as monarch. Many of the more prominent nobles, seeking to increase their own power, refused to recognise Joanna, preferring that Henry would have named as heir his younger half-brother, Infante Alfonso. Armed conflict broke out and in 1464 the league of nobles forced Henry to repudiate Joanna and recognise Infante Alfonso as his heir. Alfonso then became Prince of Asturias, a title traditionally held by the heir apparent. 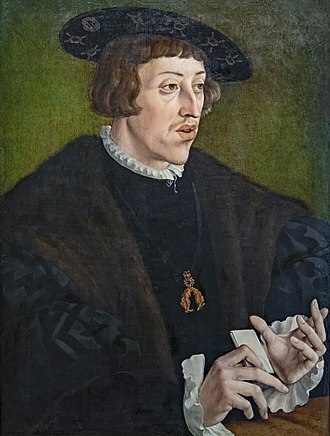 Henry agreed to this compromise with the stipulation that Infante Alfonso would marry Joanna (his half-niece), to ensure that they both would receive the crown. But in 1468, Infante Alfonso died, and also Henry divorced Joanna's mother. This resulted in Joanna's displacement in the succession. Her half-aunt, Infanta Isabella, was placed before her in the succession, although Joanna was considered the heir after Isabella. Joanna was held in custody by the Mendoza family in 1465–1470, and by Juan, Marqués de Villena (elevated, in 1472, to being The 1st Duke of Escalona), and his family in 1470–1475. There were many negotiations for her marriage to someone who could defend her succession. On 26 October 1470, she was betrothed and then married by proxy to Charles, Duke of Guienne, brother of Louis XI of France, and again proclaimed as legitimate heir to the throne. But Charles died in 1472. After a few unsettled arrangements, which included French and Burgundian princes, Joanna was promised in marriage to her maternal uncle, King Afonso V of Portugal and the Algarves, who swore to defend her (and his own) rights to the Crown of Castile. When Henry died in 1474, she was recognized as queen by some noble factions, while others recognized her half-aunt Isabella as queen. This began the four-year War of the Castilian Succession. In addition to the King of Portugal, Joanna was supported by some of the high Castilian nobility and by descendants of Portuguese families that had settled in Castile after 1396: the Archbishop of Toledo (Alfonso Carrillo de Acuña); The 2nd Duke of Escalona, a powerful and wealthy nobleman; the Estúñiga family, with lands bordering Portugal; The Marquess of Cádiz; and the Grand Master of the Order of Calatrava, Rodrigo Téllez Girón. 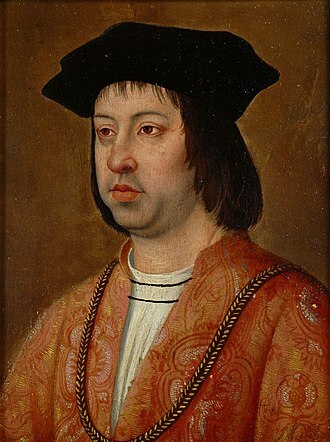 On the other hand, Isabella was supported by Ferdinand of Aragon (whom she married), and by most of the Castilian nobility and clergy: the powerful House of Mendoza; the Manrique de Lara family; The 2nd Duke of Medina Sidonia; The 1st Duke of Alburquerque; the Order of Santiago; and the Order of Calatrava, except its Grand Master. On 10 May 1475, King Afonso V of Portugal invaded Castile and married Joanna in Plasencia, 15 days later. Joanna thus became Queen of Portugal. Joanna and Afonso V held court at Toro, and she was considered a promising ruler by her courtiers, though too young. 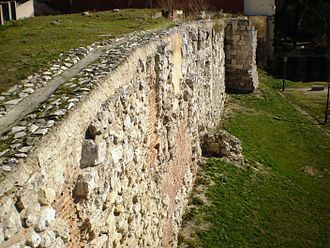 Joanna sent a letter to the cities of Castile, expounding the wish of her father King Henry IV that she should rule, and proposed that the cities vote for which succession they wished should be recognized. However, Joanna found fewer supporters than expected. Very shortly, Isabella I's husband King Ferdinand II led her forces against the armies of Joanna and her husband Afonso V.
Both armies met at Toro (1 March 1476). King Afonso V was beaten by the left and center of King Ferdinand’s army, and fled from the battlefield. His son John II of Portugal defeated the Castilian right wing, recovered the lost Portuguese Royal standard, and held the field, but overall the battle was indecisive. Even so, the prestige of Joanna and Afonso V dissolved because Ferdinand II sent messages to all the cities of Castile and to several other kingdoms informing them about a huge victory where the Portuguese were crushed. Faced with this news, the party of Joanna la Beltraneja, who was under siege at the Royal Alcazar, was terminated, and the Portuguese were forced to return to their kingdom. "That is the battle of Toro. The Portuguese army had not been exactly defeated; however, the sensation was that Donna Joanna’s cause had completely sunk. It made sense that for the Castilians, Toro was considered as divine retribution, the compensation willed by God for the terrible disaster of Aljubarrota, still alive in the Castilian memory." After this, Joanna's husband Afonso tried without success to form an alliance with Louis XI of France. 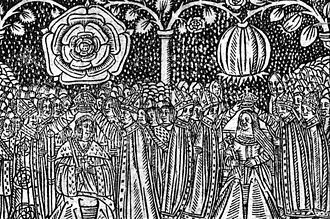 In 1478, the marriage of Joanna and Afonso V was annulled by Pope Sixtus IV on grounds of consanguinity, ending her tenure as Queen of Portugal. She was also forced to renounce the title of Queen of Castile. In 1479, Afonso renounced his pretension to the Castilian Crown and signed a treaty with Isabella and Ferdinand. Joanna was given a choice: enter a convent, or marry Isabella's one-year-old son John when he came of age (and if he then consented). Joanna chose to enter the Convent of Santa Clara in Coimbra, and the ceremony was witnessed by Isabella, who praised her decision. She was not incarcerated in the convent, and was eventually allowed to reside in the Castle of São Jorge in Lisbon. 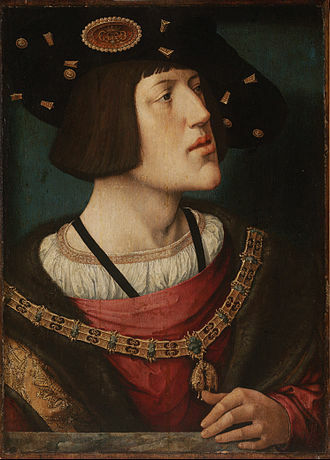 In 1482, King Francis Phoebus of Navarre, nephew of Louis XI of France, proposed to her, with the implication of again raising her claim to Castile. This was intended as a French warning to Isabella and Ferdinand, who threatened Roussillon. But Francis died soon after. Isabella died in 1504, and it is alleged that, as a maneuver to retain control of Castile, rather than have his son-in-law Philip succeed there, Ferdinand then proposed marriage to Joanna, but she refused. Joanna signed her letters "La Reina" ("the Queen"), until she died. She died in Lisbon, having survived her aunt Isabella I. Joanna's claim to Castile was extinguished at her death; her heir would have been her cousin Joanna, Isabella's daughter, who was already Queen of Castile. Juana la Beltraneja, a play by Santiago Sevilla (Humanities Portal of Liceus.com). The depiction of Juan Pacheco and Beltrán de la Cueva shows the pernicious influence of certain members of the nobility towards princess Joanna. Isabel, a Spanish television series about Isabella I of Castile, which includes Joanna (Isabella's niece). Joanna is played by Carmen Sánchez. The Queen's Cross, A Biographical Romance of Queen Isabella of Spain by Lawrence Schoonover, includes the figure of Joanna la Beltraneja in its story. This well-written and well-researched historical novel was published by William Sloane Associates, Inc. (New York), 1955. Jean Plaidy's Spain trilogy provides a viewpoint from Isabella, Ferdinand and La Beltraneja, especially in book 2 "Spain for the Sovereigns"
^ Tenure briefly interrupted by husband's abdication on 11 November 1477. Four days later, husband is reinstated. ^ Testimonial of the divorce ruling between Prince Henry and the infanta Blanche, included in Collection of unedited documents on the history of Spain, vol. XL, pages 444-450. "After nine months, occupied with frontier raids and fruitless negotiations, the Castilian and Portuguese armies met at Toro... and fought an indecisive battle, for while Afonso was beaten and fled, his son john destroyed the forces opposed to him." Bury, John B. (Irish historian). The Cambridge Medieval History, Volume 8. Macmillan, 1959. p.523. "(...) In the (...) battle of Toro, which although of uncertain outcome, Ferdinand skilfully was able to exploit for propaganda." González, Juan B. (Spanish historian) España Estratégica, guerra y diplomacia en la história de España. Madrid, Sílex ediciones, 2007.p. 222. Palenzuela, Vicente Ángel Alvarez. La guerra civil castellana y el enfrentamiento con Portugal (1475-1479). Universidad de Alicante, Biblioteca Virtual Miguel de Cervantes, 2006. Bury, John B. The Cambridge Medieval History, Volume 8. Macmillan, 1959. Eleanor of Castile was an infanta of Castile and the Queen consort of Navarre. She was the daughter of King Henry II of Castile and his wife, Juana Manuel of Castile, Eleanor was a member of the House of Trastámara. Eleanor was subject to plans with Ferdinand I of Portugal in 1371 however. A betrothal took place in 1373 in Burgos with Prince Charles, the couple were married at Soria in May 1375. A testament dated at Burgos on 29 May 1374, shows that King Henry II bequeathed property to his daughter Eleanor as a part of her dowry, the newly married royal couple went through certain marital disputes. She took her daughters, whom she bore her husband during the first thirteen years of their marriage. Eleanor and her children resided in Valladolid and by 1390 she bore two daughters to Charles. Two years later, she was demanded by her husband to return because they needed to be crowned King, Eleanors brother King John supported the request of Charles III. Eleanor did not contend, claiming she was ill-treated in Navarre, as a result, Eleanor remained in Castile whilst her husband was crowned in February 1390 in Pamplona. 0n 9 October 1390, Eleanors brother John died and was succeeded by his minor son Henry, Charles again requested Eleanors return to Navarre however, she refused. Eleanor opposed her nephews accession and she formed the League of Lillo along with her illegitimate half-brother Fadrique, King Henry opposed the League, he besieged Eleanor in her castle at Roa around mid-1394 and obliged her to return to her husband in February 1395. 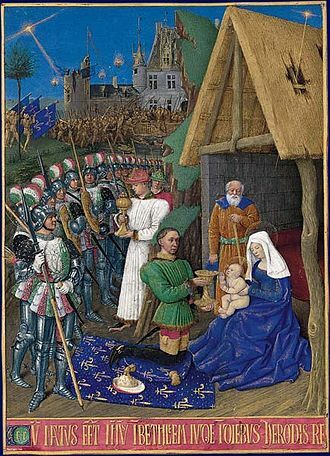 Eleanor returned to Charles and was involved in the political life of Navarre. Her relationship with her husband improved and she bore him the long-awaited sons Charles and Louis however, on 3 June 1403 her coronation as Queen of Navarre took place in Pamplona. 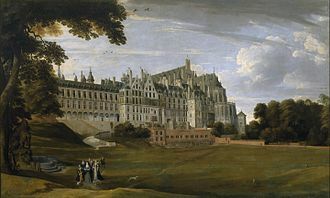 Upon several occasions when Charles stayed in France, Eleanor took to the role of regent and she helped to maintain good relations between Navarre and Castile. 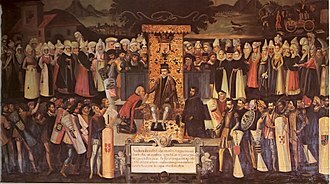 As a result of the relations, members of the Castillian nobility including the Duke of Benavente and members of the powerful families of Dávalos, Mendoza. John I was King of the Crown of Castile from 1379 until 1390. He was the son of Henry II and of his wife Juana Manuel of Castile and he was the last monarch of Castile to receive a formal coronation. His first marriage, to Eleanor of Aragon on 18 June 1375, produced his only issue, Henry. Ferdinand, became King of Aragon in 1412, in 1379, John I formed the short lived military order of the Order of the Pigeon, known for its large feasts which included eating the organizations namesake, the pigeon. 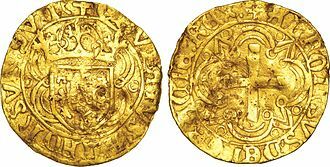 On the death of his father-in-law, John endeavoured to enforce the claims of his wife, Ferdinands only child, the 1383-1385 Crisis, a period of civil unrest and anarchy in Portugal, followed. He was resisted by supporters of his rival for the throne, John I of Portugal, and was utterly defeated at the battle of Aljubarrota, on 14 August 1385. He had to contend with the hostility of John of Gaunt, 1st Duke of Lancaster, who claimed the crown of Castile by right of his wife Constance, at the beginning of 1383, the political situation in Portugal was volatile. Beatrice was the child of King Ferdinand I of Portugal. Her marriage was the issue of the day, and inside the palace. Ferdinand arranged and canceled his daughters wedding several times before settling for his wifes first choice, John had lost his wife, Infanta Eleanor of Aragon the year before, and was happy to wed the Portuguese heiress. The wedding took place on 17 May at the Cathedral of Badajoz, Beatrice was only ten years old. King Ferdinand died soon thereafter, on 22 October 1383, according to the treaty between Castile and Portugal, the Queen Mother, Leonor Telles de Menezes, declared herself Regent in the name of her daughter and son-in-law. This was ordered first in Lisbon, Santarém and other important places, the national rebellion led by the Master of the Order of Aviz, the future John I, began immediately, leading to the 1383-1385 Crisis. King John of Castile invaded Portugal in the end of December 1383, the consequent war was effectively ended in 1385, with the defeat of Castile in the Battle of Aljubarrota on 14 August. She was born in the Quinta do Monte Olivete, Almada six months after the death of her father. On 21 May 1455 in Córdoba, she married as his second wife King Henry IV of Castile who had repudiated his first consort, Blanche II of Navarre and it was rumoured that their marriage had never been consummated due to the kings impotence. Henry and Joan shared the same grandparents, Ferdinand I of Aragon. They shared the same paternal great-grandfather, John of Gaunt, Henry banished Joan from the royal court and she went to live in Coca at the castle of Henrys supporter, Bishop Fonseca. She soon fell in love with Bishop Fonsecas nephew, they embarked on a sexual affair, Henry subsequently declared their marriage had never been legal and thus divorced her in 1468. At the death of her husband in 1474, Joan championed her daughters right to succeed to the throne. This led to the outbreak of the War of the Castilian Succession and she was considered haughty, unscrupulous and ruthless, participating in intrigues and completely controlling her husband. Duarte, known in English as Edward and called the Philosopher or the Eloquent, was King of Portugal and the Algarve and Lord of Ceuta from 1433 until his death. 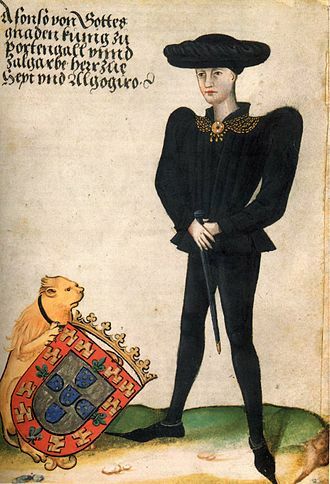 He was born in Viseu, the son of John I of Portugal and his wife, Queen Philippa of Portugal, Edward was the oldest member of the Illustrious Generation of accomplished royal children who contributed to the development of Portuguese civilization during the 15th century. 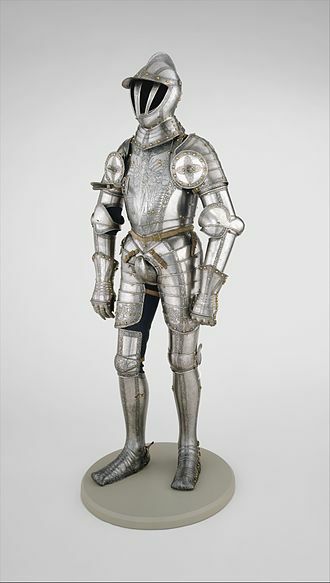 As a cousin of several English kings, he became a Knight of the Garter, before he ascended the throne, Duarte always followed his father in the affairs of the kingdom. He was knighted in 1415 after the Portuguese capture of the city of Ceuta in North Africa, across from Gibraltar and he became king in 1433, when his father died of the plague. As king, Duarte soon showed interest in building internal political consensus, during his short reign of five years, he called the Portuguese Cortes no less than five times to discuss the political affairs of his kingdom. 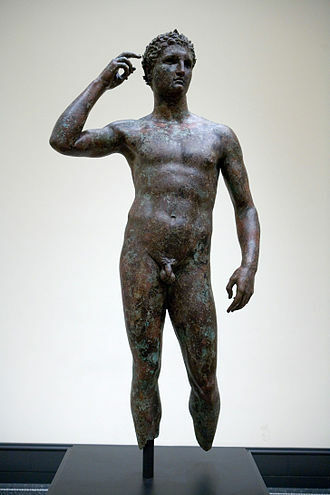 He followed the politics of his father concerning the exploration of Africa. 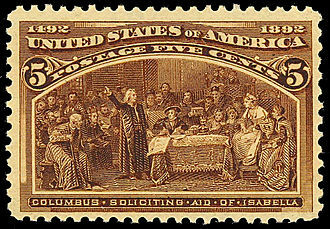 He encouraged and financed his famous brother, Henry the Navigator, an expedition of Gil Eanes in 1434 first rounded Cape Bojador on the northwestern coast of Africa, leading the way for further exploration southward along the African coast. The colony at Ceuta rapidly became a drain on the Portuguese treasury, after Ceuta was captured by the Portuguese, the camel caravans that were part of the overland trade routes began to use Tangier as their new destination. This deprived Ceuta of the materials and goods made it an attractive market and a vibrant trading locale. In 1437, Duartes brothers Henry and Ferdinand persuaded him to launch an attack on the Marinid sultanate of Morocco, the expedition was not unanimously supported and was undertaken against the advice of the Pope. Infante Peter, Duke of Coimbra, and the Infante John were both against the initiative, they preferred to avoid conflict with the Marinid Sultan and their instincts proved to be justified. The resulting Battle of Tangier, led by Henry, was a debacle, failing to take the city in a series of assaults, the Portuguese siege camp was soon itself surrounded and starved into submission by a Moroccan relief army. 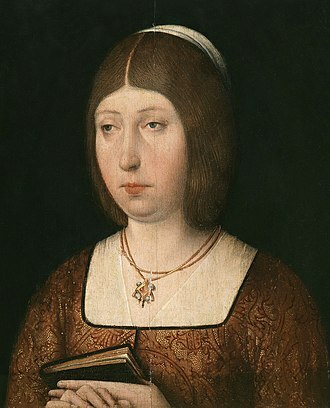 Blanche II of Navarre, titular queen of Navarre, was the daughter of John II of Aragon and Blanche I of Navarre. She was Princess of Asturias by marriage, Blanche was born on 9 June 1424 in Olite, Navarre. 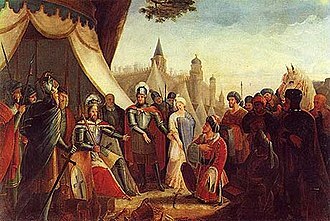 In 1427, her brother Charles, and her sister Eleanor, were proclaimed the rightful heirs of the kingdom of Navarre, Blanche was promised to the heir of Castile in the peace treaty between Navarre and Castile in 1436. She married Henry IV of Castile in 1440, the marriage was reputedly never consummated. In 1453, after thirteen years, Henry sought the annulment of the marriage, an official examination confirmed the virginity of Blanche. A divorce was granted by the Pope on the grounds that some witchcraft had prevented Henry from consummating the marriage, after this, Blanche was sent home to Navarre, where she was imprisoned by her family, from 1462, she was under the custody of her sister. She remained childless throughout her life, after the death of her brother in 1461, some Navarrese dissatisfied elements and some of the anti-Aragonese party regarded Blanche as the rightful monarch, as they had regarded Charles. View of the façade of the Segovia Cathedral, the ancient City Walls (8th century), and the Guadarrama mountains. 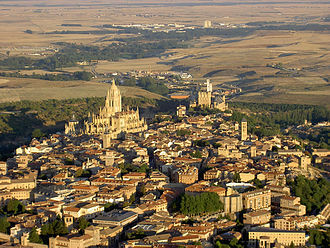 Aerial view showing part of the city. 1562 drawing of Segovia by Anton van den Wyngaerde. View of the Alcázar of Segovia (1838). Alfonso V of Aragon, Maria's husband. Archbishop Alonso Carrillo in sculpture Santiago de Santiago in Alcalá de Henares (Spain).